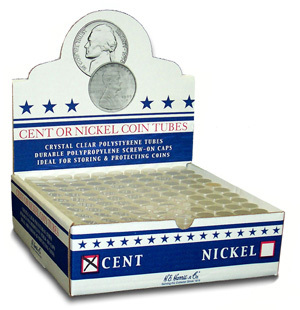 U.S. One Cent Round Tube - Holds 50 Cents. Built to last, these high impact tubes with twist-off caps are built with excellent quality and durability. 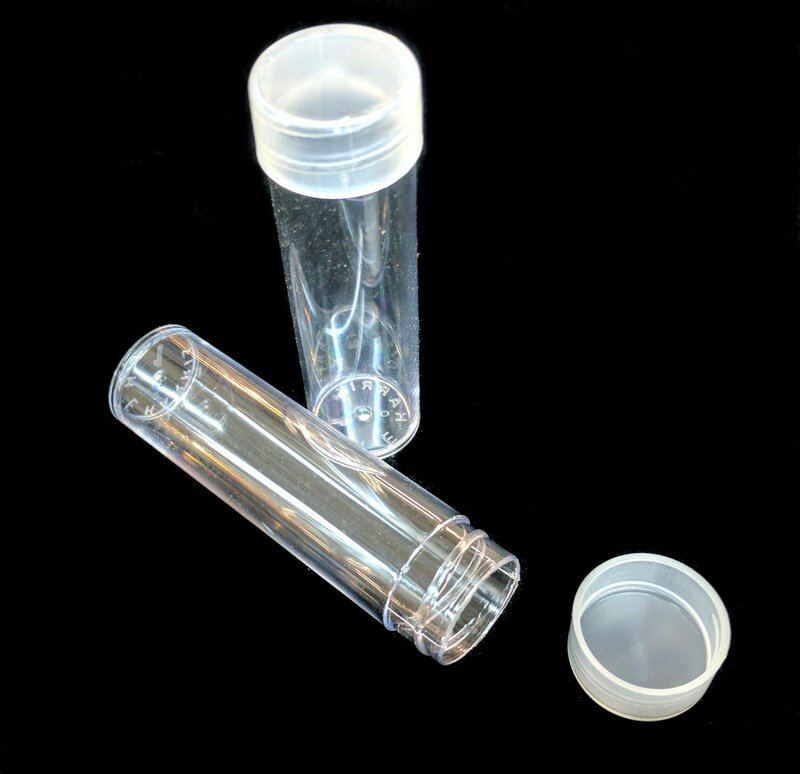 These round tubes have a clear body made of Polystyrene ( PS - #6 Recyclable plastic), the durable cap is made of polypropylene ( PP - #5 Recyclable plastic). Both plastics are Archival safe.